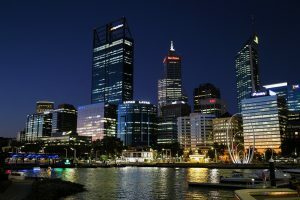 Y Research in the News: What Can Perth Become After the Resources Boom? As outlined in our Market Outlook, 2017 marks the end of the $800 billion dollar resources investment boom and a property development boom that has delivered a decade of record office, retail, industrial and residential development. As these booms fade and people start to look to the future, the question – what do we want WA to be besides mining? is increasingly discussed, particularly in the lead up to the State Election. Y Research Principal and Chief Problem Solver Damian Stone has been featured in the press discussing potential answers to improving WA’s economic diversity. Click on the link to listen to his interview with RTR FM. The key takeaway from both interviews: Our challenge is not unique, all global resources cities face this issue. WA in 2017 is entering an economic roundabout with many potential avenues to explore: tourism, education, start ups, agriculture, health services and more. The challenge is to move from the big picture to detailed plans and funding. Despite our short-term challenges, Western Australia remains one of the best places to live in the world. Let’s not wait for the next resources boom, lets work out what these sectors need to create the next decades of jobs and move forward in 2017.